(CBS News) Artificial or non-nutritive sweeteners may be a great option to cut sugar from your diet - as long as you're not snacking on even more sweets to compensate for it. That's according to a new scientific statement from the American Heart Association and American Diabetes Association, that took into account the latest scientific evidence on artificial sweeteners and weight gain. "While they are not magic bullets, smart use of non-nutritive sweeteners could help you reduce added sugars in your diet, therefore lowering the number of calories you eat. Reducing calories could help you attain and maintain a healthy body weight, and thereby lower your risk of heart disease and diabetes," said Dr. Christopher Gardner, associate professor of medicine at Stanford University in California, said in the press release. "But there are caveats." 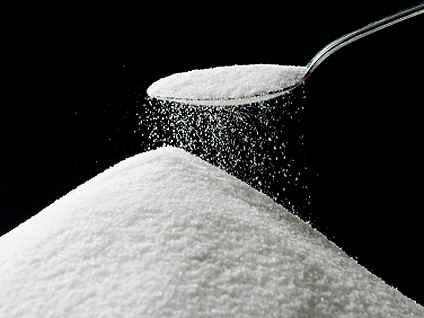 The statement, which was published on July 9 in Circulation and Diabetes Care, showed that exchanging sugar for non-nutritive sweeteners - including aspartame, acesulfame-K, neotame, saccharin and sucralose and plant-derived stevia - could lead to lower consumption of added sugars. High intake of added sugars are often tied for increased risk for heart disease, obesity and Type 2 diabetes. However, the research was inconclusive when it came to determining if the non-nutritive sweeteners could reduce carbohydrate intake, calorie intake or body weight. Researchers were also concerned that people who ate non-nutritive sweeteners may treat themselves to even more sweets later in the day. "Determining the potential benefits from non-nutritive sweeteners is complicated and depends on where foods or drinks containing them fit within the context of everything you eat during the day," Gardner said. "For example, if you choose a beverage sweetened with non-nutritive sweeteners instead of a 150-calorie soft drink, but then reward yourself with a 300-calorie slice of cake or cookies later in the day, non-nutritive sweeteners are not going to help you control your weight because you added more calories to your day than you subtracted," he explained. But, if those individuals skipped the sweet snacks, non-nutritive sweeteners could be very beneficial. The substances do not increase blood glucose levels and can provide another option for those with diabetes, Gardner stated. Type 2 diabetes, the most common form of diabetes, is a disease where the body does not produce enough insulin or the cells ignore the insulin, according to the American Diabetes Association. Complications from diabetes include heart disease and stroke, which risk is two to four times higher among people with the disease. As of 2011, 25.8 million children and adults in the U.S. have diabetes, with about 7 million of them who may not even know they have it. Each year 1.9 million new cases are found each year in people 20 years and older. The American Heart Association suggests that women eat no more than 100 calories of added sugars per day, and men eat no more than 150 calories. The AHA says limited intake of added sugars could help people achieve or maintain a healthy body weight. "For anyone trying to monitor or reduce their intake of calories or added sugars, the potential impact of choosing 'diet products' with non-nutritive sweeteners needs to be considered within the context of the overall diet," Gardner said. "Strategies for reducing calories and added sugars also involves choosing foods which have no added sugars or non-nutritive sweeteners - such as vegetables, fruits, high-fiber whole grains, and non or low-fat dairy," he added.